I first heard this moving song by Audio Adrenaline maybe a few weeks ago. Ever since, I have wanted to create a video for waiting children with this song in the background. 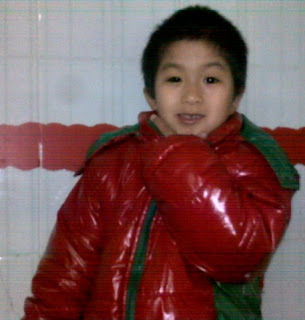 Awhile ago, an adoption friend of mine was looking for pictures of our adopted children- one from the orphanage and one once in a family/home. I sent her two. Today she posted the most amazing video of a before and after of many of the children of families who were going through the adoption process at the same time as us. And wouldn't you know...it had this song in the background. It was perfect! It moved me to tears. I had wanted to write the lyrics on my blog and I am glad I didn't get around to it until now. So enjoy the lyrics and if you haven't seen it yet, please check out the video and turn your volume UP and REALLY listen. I hope this song moves your heart like it moves mine. Lena is the girl in red standing in the crib and then in the Thanksgiving turkey dress. She is a blessing! February 10th was the start of Chinese New Year- 2013 is the year of the snake! The Chinese New Year starts with the new moon on the first day of the new year and ends on the full moon, 15 days later. The 15th day of the new year is called Lantern Festival, which is celebrated at night with lantern displays and children carrying lanterns in a parade. New Year's Eve and New Year's Day is a family affair, a time of reunion and thanksgiving. 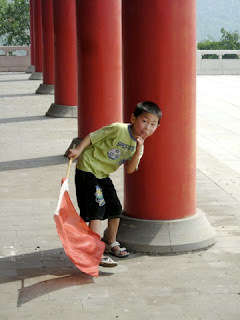 Much like the Western New Year (January 1st), the biggest celebration is on the eve of the holiday. At the turn of the new year, firework displays are put on throughout the city. The week following, most people have off work and many families vacation. 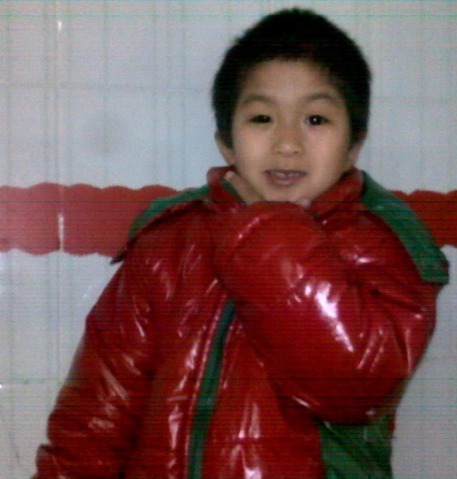 The New Year's Eve dinner is the most important dinner for Chinese people. Normally this is the family reunion dinner, especially for those with family member away from home. In the New Year's Eve dinner, fish will typically be served. Dumplings are the most important dish in northern China. These two dishes mean prosperity. 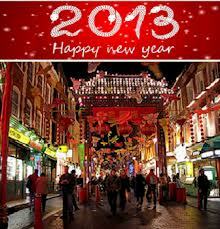 The majority of Chinese will have New Year's Eve dinner at home instead of restaurant. Fireworks are used to drive away the evil in China. Right after the 12:00PM of the New Year's Eve, fireworks will be launched to celebrate the coming of the New Year as well as to drive away the evil. It is believed that the person who launches the first fireworks in the New Year will get good luck. After the New Year's Eve dinner, family member will try to stay awake during the night. According to tales and legends, there was a mythical beast called the "Nian". At the night of New Year's Eve, the "Nian" will come out to harm people, animals, and proprieties. Later people found that the "Year" is afraid of the color red, fire, and loud sound. People will launch fireworks, make fires, and stay awake the whole night to fend of the "Nian." Red envelopes with money, ranging from one to a thousand Chinese Yuan, are given by adults, especially married couples and the elderly, to young children in the New Year days. It was believed that the money in the red packet will suppress the evil from the children, keep the children healthy, and give them a long life. During the New Year days, a temporarily market will be set up, mainly selling New Year goods, such as clothing, fireworks, decoration, foods, small arts, etc. The market is usually decorated with a large amount of lanterns. A few days before the Chinese New Year, people will do a complete cleaning of their home and housewares, getting rid of the old and welcoming the new. 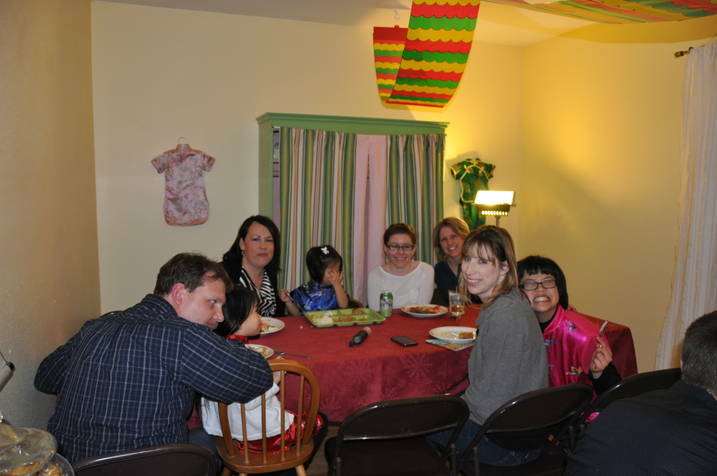 After the cleaning, families decorate the house to welcome the New Year. Most of the decorations are red, which means good luck. For our Chinese New Year, we ordered take-out from our local Chinese restaurant. 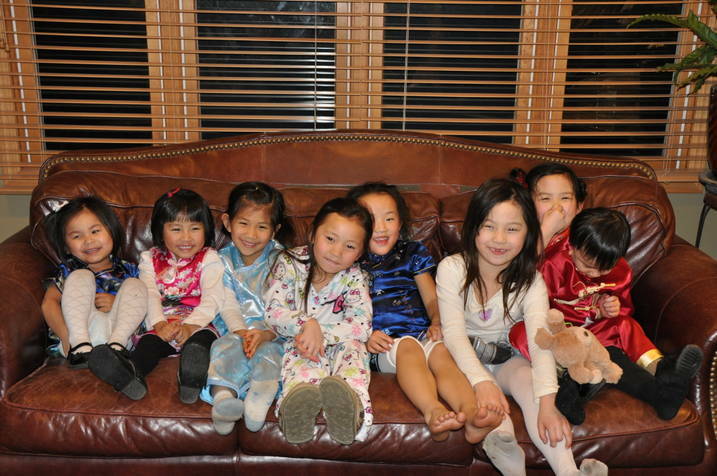 We gave the kids red envelopes and Lena wore one of her Chinese dresses to church on Sunday, which would have been New Year's Day. 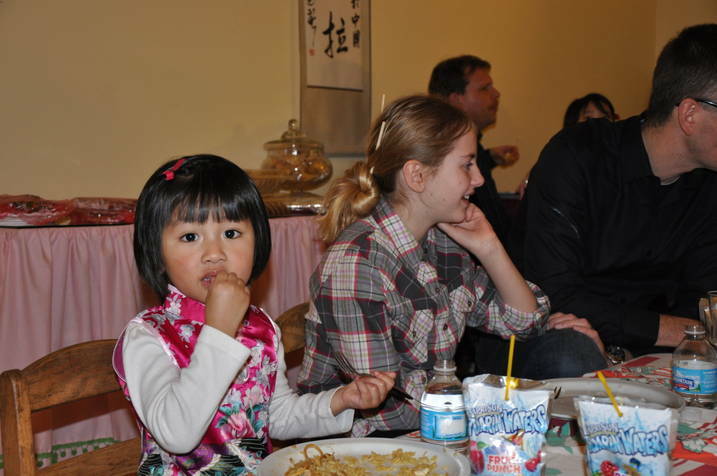 Last night we were invited by a friend to a Chinese New Year celebration, where we got to meet many families who have adopted from China. Evan, Lena, and I went because Rick was out of town. My mom and step-dad stayed and watched the other kids at our house. We had a great Chinese meal, got to meet a lot of new people, and the kids got to see some fireworks and run around with some sparklers. 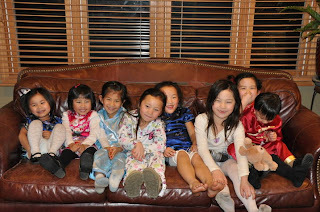 Looks like we may have a fun Chinese New Year tradition for years to come! 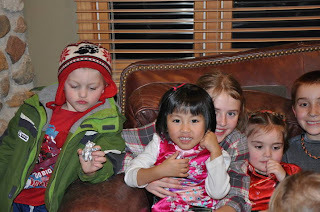 Lena was a little nervous at first, but made friends quickly after dinner. Meeting new people and visiting with some who we have known through friends. I got to meet a girl who was adopted right before aging out. She was advocated for on a group I co-moderate, so that was special! The other day I had an IEP meeting for Lena at the school for the deaf. 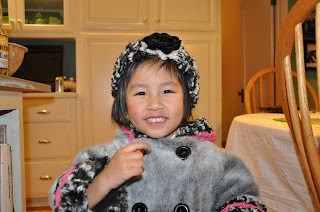 Her teacher and speech therapist raved about how wonderful she is and how great she is doing. She is at a level two and they said that many children who start at 3, even those in deaf families, are not at the level she is at. They are amazed by her. I couldn't help but tear up in that meeting for a few reasons. I had tears of happiness because I was so proud of her. She is a smart little girl who, despite her early childhood circumstances, has come so far. She has such a desire to know and to learn new things. She loves that she now has a language and can communicate with others. The second reason I got tears in my eyes was because that meeting was yet one more reassurance to me that we are doing the right thing, we have her in the right school, and though we sometimes feel like we are failures, we are doing the best we can and we have taught her a lot of signs. And then I cried tears of sadness and worry for the children who are deaf who are still waiting in China and countries all around the world for their families to find them. Some will age out of the system. What will their life be like with no language or way to communicate with anyone, no formal education, possibly no chance to get married and have a family of their own? 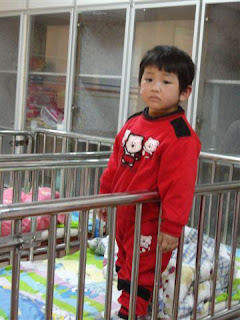 Will they remain in the orphanages and become nannies? Will they be tossed out onto the street at 18? Will they be taken advantage of by someone because of their impairment? Your guess is as good as mine. No one really can say what will happen to them or how their life will turn out. 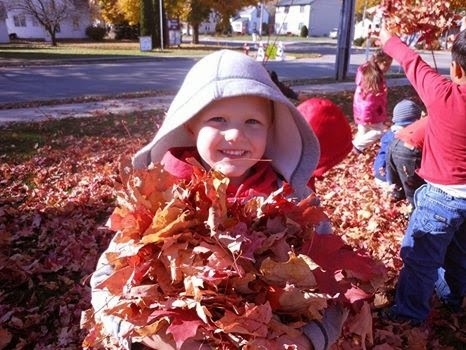 I was thinking about my little girl and all that she has learned and how far she has come in 6.5 months with only one month of schooling under her belt and wondered....what if more people opened their hearts and their home to a deaf child? To any child with special needs for that matter. The resources we have in our community and in our country are amazing. We are so fortunate. 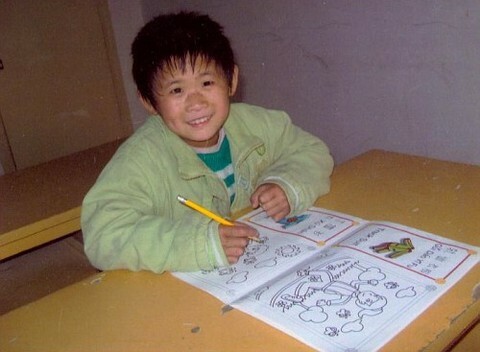 I was thinking about all the kids who remain in an orphanage and wondered how many of them would be able to have the chance to communicate with people through a common language and to dream about their future and to see some of their dreams come true. One of the biggest dreams of a waiting child is to have a family of their own. Every child deserves to have one- to know what that kind of love looks and feels like. So as I sat in that meeting with tears of happiness seeping out the corners of my eyes for my daughter, I couldn't help but to think of some of these kids who are not so lucky and who don't have a family of their own to advocate for them and to help them accomplish their dreams. Do you have the room in your heart...in your home...in your family? I am not going to lie and say the process is easy or that it is inexpensive. It's a lot of work and it's very expensive...but when you fully trust in the Lord and follow His calling and His heart, He will provide. 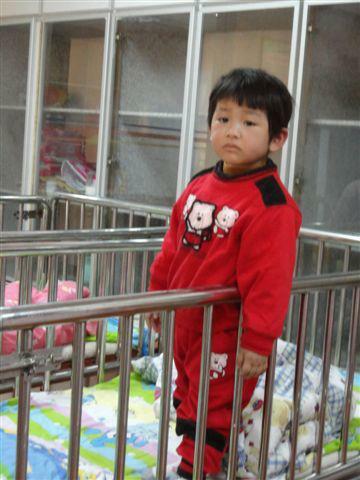 This was Lena at her orphanage....she spent most of her time in the crib and had no language to communicate with the staff and her friends. She just pointed at everything. This was Lena about 5 months after coming home. She smiles about 90% of the time. She is so happy to go places, see new things, and meet new people. She makes other people happy just by being around her. She has a mom, a dad, grandmas and grandpas, and a lot of brothers who adore her and protect her. She has a school, a teacher, friends, a language to communicate with others, and she is learning about Jesus and is the first one say 'Let's pray' when food is set on the table at meal time. 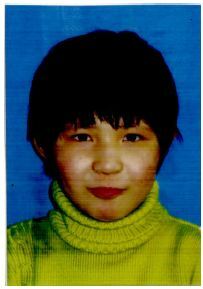 I don't want to think about what her life would have been like if she had to wait longer or worse yet, if she would have had to grown up in the orphanage or aged out of the system. 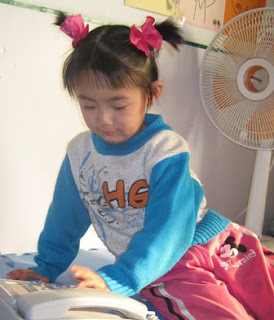 These children below are deaf like Lena, but their life is nothing like Lena's. They need me, they need you, they need us. Don't let them be forgotten. This is Kara. Kara will age out in March....she needs prayers for protection and for her future. This is Gary. He will age out in July if a family doesn't come forward for him. This sweet girl is Kaiya. Her pictures are very old. She will age out in October of this year if she doesn't find her family. This is Samantha. She has until July of next year to find her family before it is too late for her. she'd love to tell you more about him! Bethie is a sweet girl! Bo is hilarious! He would bring so much laughter to a family! 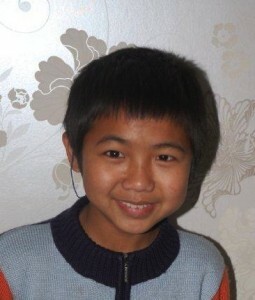 Adrian's orphanage has waived his orphanage donation fee completely! 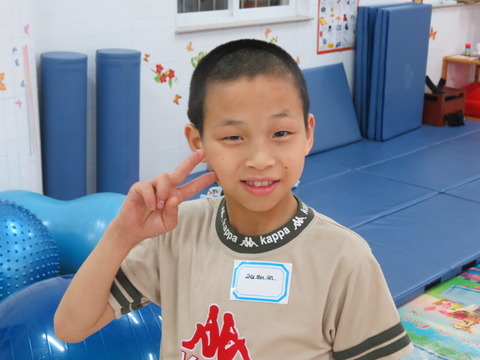 Quincy is a very bright boy who is well-liked by the orphanage staff! Rachel needs a mom and a dad's love! Syler is as cute as can be...I'd bring him home if we could go for two! 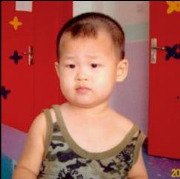 He currently has a $4,200 promise child grant with the agency he is listed with. 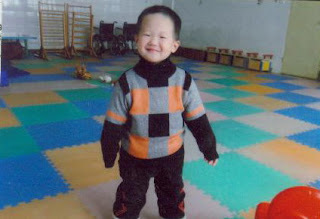 Cade is a sweet heart....can you imagine a hug from this precious boy? 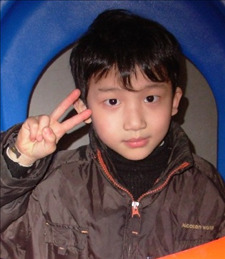 Mark is precious and still so young. These are just a handful of the many children who are deaf and waiting for a family in China. All of their names are names chosen as advocacy names to protect their privacy. 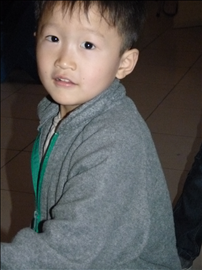 Please email me at el_lauren@yahoo.com if you are interested in learning more about adoption in general, about adopting from China, or about any of these precious children specifically. Adoption is my passion and advocacy is my mission. I would love to talk to you!